In an increasingly visual and free Internet, it can be challenging to find ways to effectively reach your market and entice them to buy. Today, giving away content to attract prospects to learn about you enough to do business is an effective marketing method. While article marketing and being a guest on podcasts are great options, hosting a webinar offers a great opportunity to not only share your expertise, but also interact more directly and personally with your market to build trust and rapport. Basically, a webinar is a seminar that is presented online. It’s most often done live, although you can offer a recorded playback. It usually includes a live video of the presenter(s) as well as slides or screenshots. Because it’s a seminar, webinars offer detailed information or training on a topic. While it can be used to promote a product or service, it’s focus is on delivering information attendees can benefit from, and the sales aspect is at the end and is a produce or service than can enhance or expand on what they learned in the webinar. What are the Pros and Cons of Webinars to Building Your Business? Large perceived value than other forms of marketing. Because of the time you give and personal interaction you have. Builds your email list and generate leads. Builds trust and rapport since people can get a sense of you and your expertise. Learn more about your market. Because you can ask and answer questions, and give feedback, your market can give you information that you can use to improve your product, services, and marketing efforts. Affordable. The cost of hosting webinars has dropped significantly, and there are even free options. Expand your market reach, especially if you invite other experts who’ll bring their audience to do the webinar with you. Increase your status as an expert in your field. Location independent. People from all over the world can join in your webinar. Ability to repurpose. You can add to your membership or other products and services, or get a transcript of your webinar to sell or use in other marketing. Passive marketing. After you’ve done your webinar, you can continue to use the recorded seminar to generate leads and make sales. You need to feel confident in using technology, especially when you’re live and a glitch happens. You need to be comfortable speaking live, as well as be an engaging speaker. Sometimes your audience may not be as responsive as you’d like. How Can Webinars Build Your Business? One of the biggest challenges to making money in a home business is getting people to pay you for your products or service. Especially in a crowded, noisy market place, webinars can help you stand out from the crowd and let people know you you’ve got the goods. Since you’re on video and talking to people, your audience will feel like they know you better and therefore, feel more comfortable in doing business with you. The first step a consumer takes to join a webinar is to give you their name and email. Second to your product or service (and you), your list is your most valuable asset! A webinar can be a lead magnet to grow your list, so you can stay in touch, giving them great information and future offers. A webinar can attract people who are interested in what you offer. It can also turn those leads into interested prospects that are now more likely to buy because they’ve “met” you and have a better sense of who you are and what you do. There is a saying that content is king. Most people go online looking for information, and if you have the information, they will be interested in your business. A webinar can be used for content marketing just like articles and other forms of content. It can be free, or you can include your webinar in your paid membership program. Webinars are a popular way to provide a free training that solves one problem, and then offer a full product to solve all the other problems your market has. Many information marketers use this method to introduce their products to potential buyers. While free webinars are recommended for list building or helping market your product or service, you can also charge people to attend your training. Or a method many summit hosts are using is to offer the webinar free for 24-hours, and then sell unlimited, lifetime access to the webinars. If you’re ready to give webinars a go, here’s how to get started. 1. Decide the purpose of your webinar. For example, will it be a lead magnet to join your list or do you want to do an information training to promote your product or service? 2. Decide what you’ll talk about. Especially for marketing, you want to create a talk that answers at least one of your market’s pressing questions. If you have a product you’re promoting, determine one solution it solves and do a webinar on that. If you’re list building, research the most common question asked about your business or check your analytics for the most popular page on your website to see what people want to know about. 3. Organize your talk. While you don’t want to read your talk or be stiff, you don’t want to wing it either. Start with a short introduction to you and what you’ll be covering. Then identify the main ideas you want to cover, and any sub-ideas you don’t want to forget. Because webinars are live, add a few places where you can ask your audience questions. Leave time for a question and answer segment. If you’re using the webinar to promote a product, have a short sales pitch at the end, giving the features and benefits of your offer. You might consider giving your participants a special deal for buying now such as a discount or an extra bonus. Finally, don’t forget to give a call-to-action whether it’s to visit your website or to check out your products/services. 4. Decide how long your webinar will be. While some webinars are longer, an hour is generally thought to be the ideal length. You can give a lot of information, but you’re not asking people to give up too much time to join in. 5. Determine a date and time to do your webinar. Avoid weekends. While people are usually off work on the weekend, they’re also usually busy with family or personal pursuits. Mid-week during the afternoon is the most common time to schedule a webinar. Depending on your market, you may want to schedule it for the evening. 6. Create your slides. While you can talk on video the whole time, since webinars tend to be informational, slides can help you and your audience stay focused on the topic. You can also do screencapture video if you’re showing your audience how to do something online. If you don’t have Power Point, you can use Google Slides, or a graphics program such as Canva to create your slides. 7. Decide if you’ll do the webinar alone or have a co-host or guest. An advantage of having another person is in keeping things flowing and interesting, plus you don’t have to carry the entire presentation. Your co-host or guest can also help you market the webinar. 8. Check your tools. To do a webinar you need a webcam or the camera on your phone, a microphone, webcam software with chat function if you want to interact with your audience, and a way to promote your webinar. 9. Set up the webinar system. Popular webinar presentation tools include WebinarJam, GoToMeeting, and LiveStream. If price is a concern, or you’re not sure you’re going to make webinars a regular part of your business, you can use Zoom, Google Hangouts, and Skype are options, although the free versions may have limits to the number of attendees. You also need to have a page from where your attendees can sign up and an email list to deliver the webinar info. A funnel is the best way to do this. In a webinar funnel, you have a landing page that provides information about your webinar and a signup form to attend. On your thank you page, you want to have a reminder about the date and time of the event. If you have any notes or downloads, you can provide them there. You can even promote your product or service on the thank you page. Your email service can deliver the information as well. Plus, on the day of the event, you’ll want to be sure to email the link to the webinar. 10. Market your webinar. There are a host of ways you market your webinar, including letting your email list know, having information on your website, social media, and paid ads (i.e. Facebook Ads). 11. Practice, practice, practice. Not only do you want to go through your talk, but also, you want to do a dry run to familiarize yourself with your tools, see how your slides look, and make sure you’ve dealt with any glitched that could occur. 12. Do your webinar. On the day of the event, stay hydrated, look professional, and be engaging with your audience. 13. Re-use and/or repurpose your webinar. 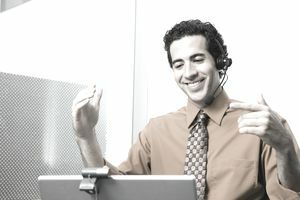 After your webinar, you can offer the recorded version to people who weren’t able to attend the event live. You might consider offering it as an automated webinar, which simulates a live webinar including the signup requirement, but is in fact the recorded version. Stealth Seminar and Ever Webinar both offer services for automated webinars. Other ways you can use the webinar include adding it to your content library. You can have it transcribed and offer the transcription to attendees or as a bonus to your product or service, or use it as the base of creating a text-oriented training. What are the Pros of Webinars to Building Your Business?